Ubud offers a stunningly green backdrop in Bali. 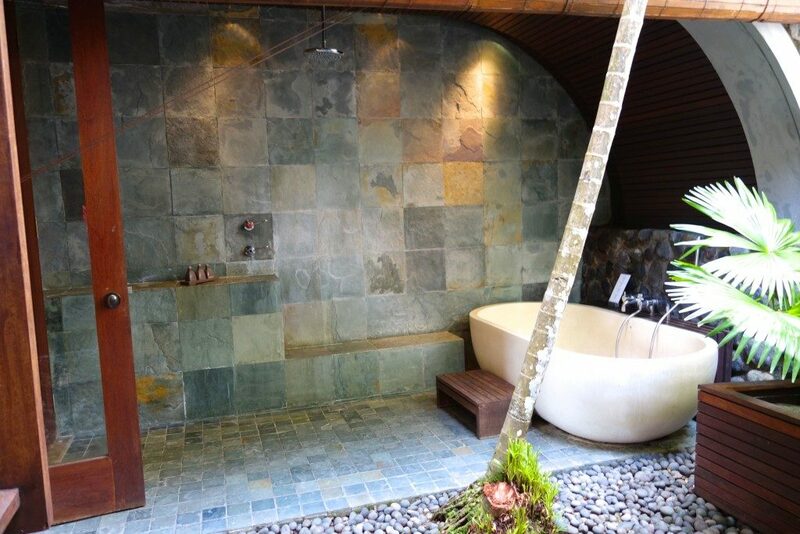 And as such, many resorts in Ubud capitalise on this to provide guests a relaxing and peaceful location. 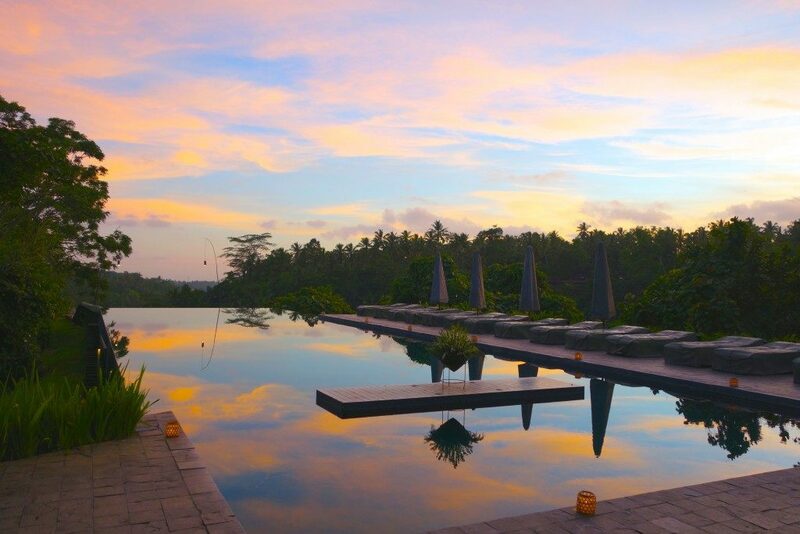 Alila Ubud Bali makes use of their hilly location and with its location being just outside of Ubud, it does feel tranquil and even more ‘away from it all’ than normal. From the open reception area, we were led to this private office / study as our travel documents were taken. It took a while before they got back to us, but in the mean time we were given welcome drinks (a refreshing orange-mango juice) and I browsed around the office and saw an interesting desk. 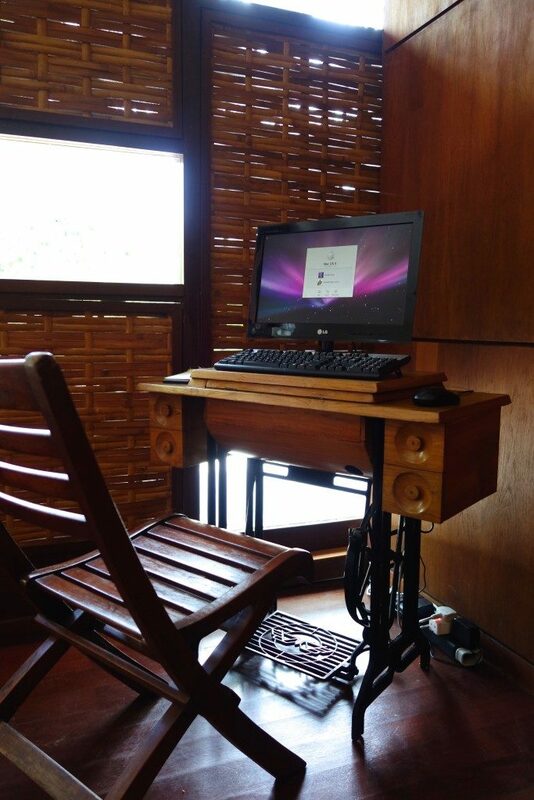 The old sewing machine turned desk first got my attention. And then the desktop. A MAC O/S in an LG desktop? 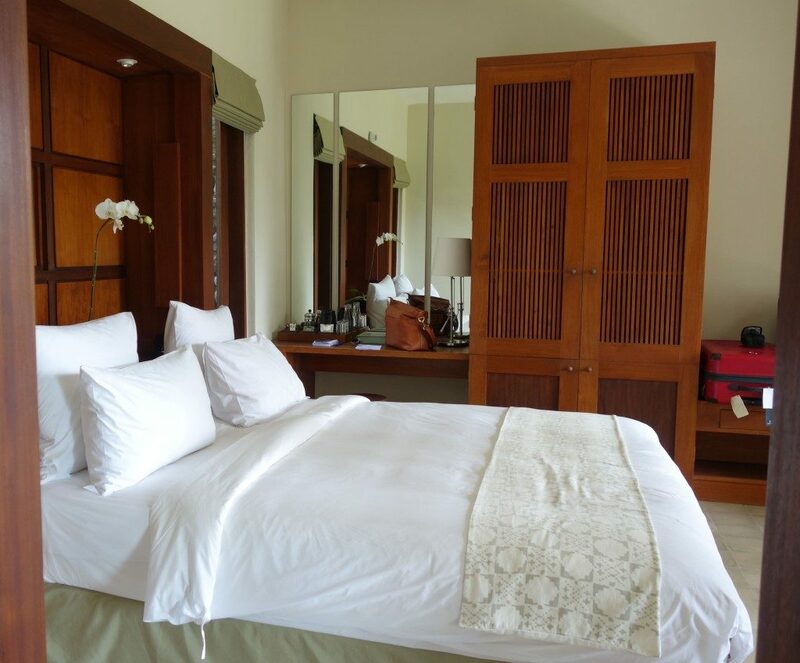 This is the second level category room of Alila Ubud, located on the ground floor. The size is quite compact but with the large balcony and garden in front, the room is always filled with natural light and feels larger than the size. 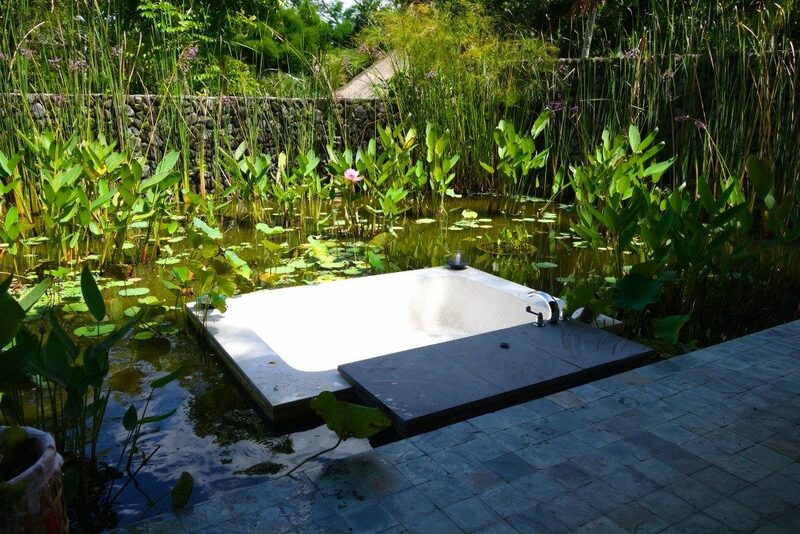 The bath is a semi-outdoor one, with the toilet and sink located in the side of the room and the bath and shower just behind the room, in the outdoor garden area. 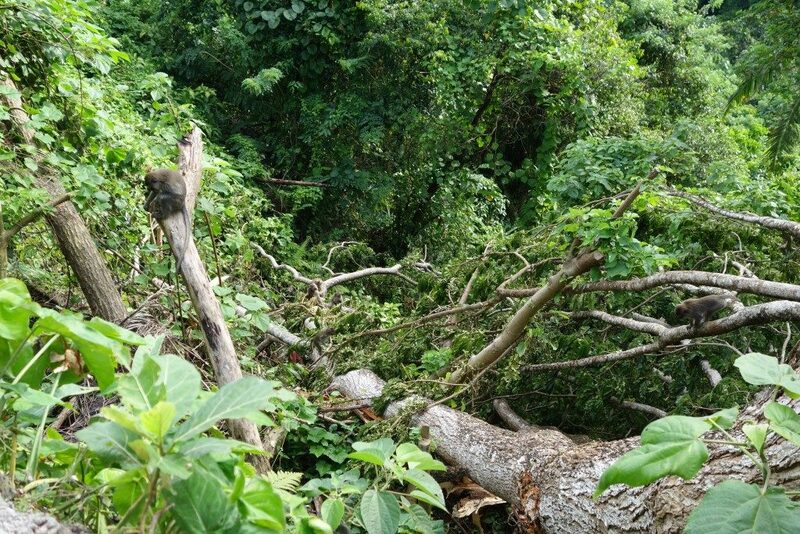 Alila Ubud also offers pick up and drop off at designated hours and points in Ubud central area (in a van with other resort guests), and we spend one afternoon exploring the Monkey Forest of Ubud. And speaking of monkeys, there are lots of foliage and trees at Alila Ubud and you can easily spot monkeys gallivanting from tree to tree. The 25-metre pool of Alila Ubud Bali has won awards (including being named by Forbes USA as one of the world’s top 20 hotel pools). It is indeed stunning, and the water is hauntingly emerald in colour. The photo above was taken during sunset but earlier in the day, the pool can be quite packed. At 3PM, there is a complimentary pool-side afternoon tea. 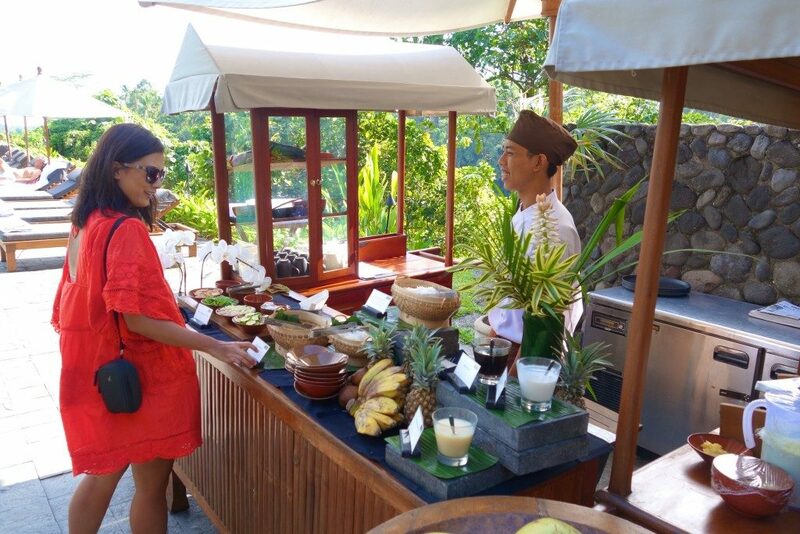 It is afternoon-tea Balinese style with a modern wooden cart where you pick Indonesian / Balinese style snacks along with hot tea infusions. The local snacks consisted of mini pandal-flavoured pancakes (above) and also glutinous rice and coconut cakes. Toppings for these are either brown sugar syrup, desiccated coconut, or condensed milk. 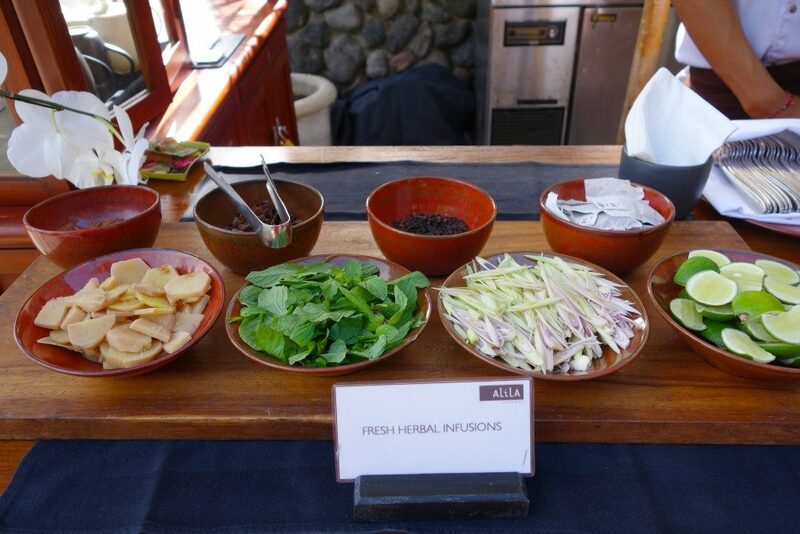 They also served hot tea with local herbal infusions such as slices of ginger, mint and lemongrass. While the tea was really good, I found myself wanting a cool drink given the hot afternoon and that the afternoon tea was located outdoors. Alas there are were no cool drinks and we were advised that the only drink served during afternoon tea was well, hot tea. 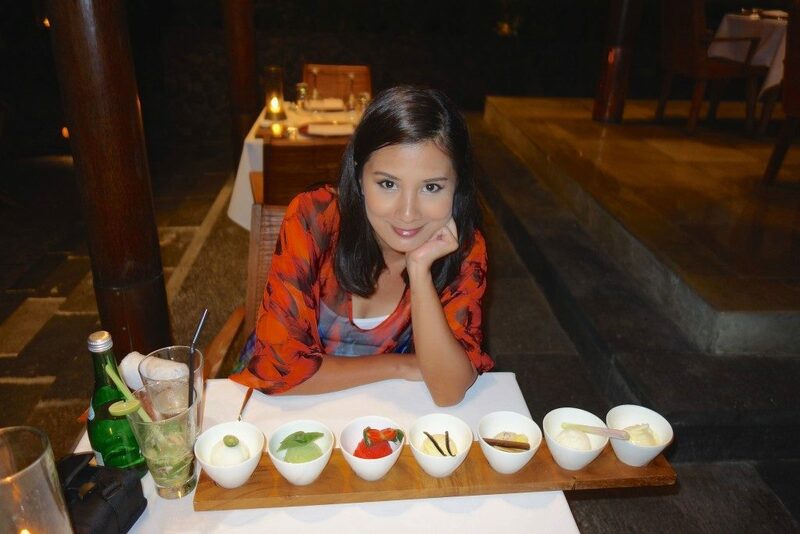 We had an unforgettable dinner at Alila Ubud’s Plantation Restaurant. Executive Chef Dewa prepared for us a Balinese Rijstaffel dinner. It was my first time to hear and know of the word Rijstaffel. 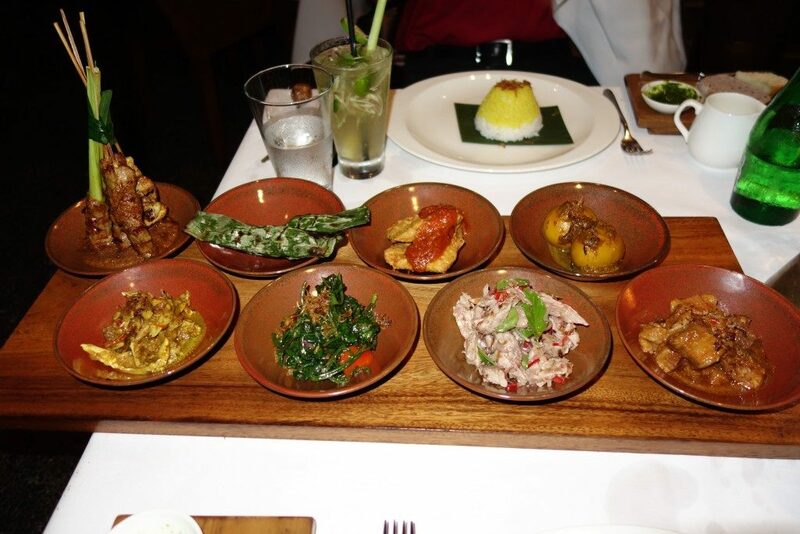 The Indonesian rijsttafel (Dutch pronunciation: [ˈrɛistaːfəl]), a Dutch word that literally translates to “rice table”, is an elaborate meal adapted by the Dutch following the hidang presentation of Nasi Padang from the Padang region of West Sumatra. As I’m typing this, Zombie passes by and sees the photo above and says that this was the best dinner we’ve had in Bali and I agree. As if the evening wasn’t impressive enough, we were asked if we wanted to take a breather because dessert was coming. Not quite knowing how to react, presented with 7 SCOOPS of ice cream! It was a mixture of sorbet and ice cream, all handmade at the Plantation Restaurant. Flavours we had: L-R: Lime, Basil, Strawberry, Vanilla, Chocolate Chip and Ginger, Lemongrass and White Chocolate. Needless to say, we went to bed very soundly that night. Beyond satisfied with the glorious food! I love their breakfast menu, it’s not the same every day and it also has great variety between light breakfasts which is perfect for people like me, who don’t really feel like eating heavily in the mornings. 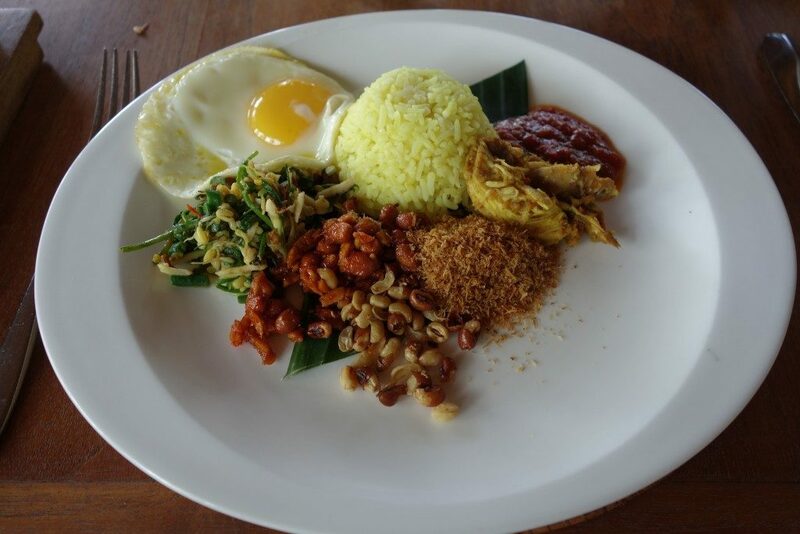 And there’s also the traditional Balinese breakfast such as Nasi Goreng. But if there’s one thing that really stood out in Alila Ubud that’s even more unforgettable than the amazing food and their award-winning pool, it is the service from their food and beverage team at the Plantation Restaurant. Pardon the blurry photo, (taken from phone) but meet Widi (left) and Marianti (right) of Alila Ubud’s Plantation Restaurant. These two ladies were really outstanding in their service. Ok, service in Bali hotels are normally above standards but here, I felt warmth and genuine friendliness from these two ladies. First, it was Marianti who served us dinner from last night’s Rijstaffel dinner, who very patiently explained to me what a Rijstaffel is (and how to pronounce it) and also, when we had breakfast the next morning asked us very worriedly if we had a good night’s sleep as she heard that our room’s air conditioning wasn’t working well. (more on that later) but we were very impressed. And then Widi, who I only met once in the morning and when she heard my bedroom voice ( early mornings my voice is throatier than usual) and thought I had sore throat. 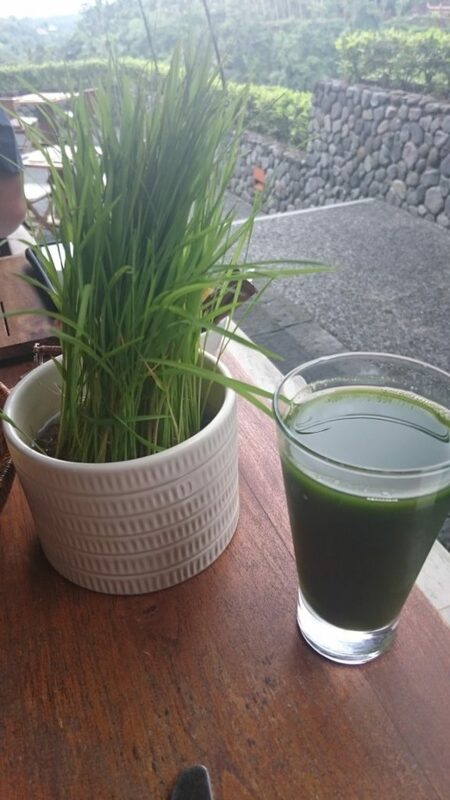 She immediately insisted on preparing a wheatgrass juice fortified with ginger essence (and other vitamin c) and like a doting mother hen told me to drink up and explained the benefits of it. Thank you so much Widi! The elixir tasted as dark as it looked like but boy did it energise me throughout the day! Anyway that morning Widi and I got to know each other very well, we found out we were the same age, and I found out she had just given birth to a baby boy who is being cared for by her mother-in-law as she goes to work. And thus, we got to know (through Widi) the dynamics of Balinese families. And the warm service also extended through their maintenance staff. Our room air-conditioning wasn’t working very well on our last night, and after tinkering with the remote control settings, Zombie rang reception. They sent a technician who had a look. And after 40 minutes, he explained to us that it should now be working well and he apologised profusely for the air conditioning not working well. I honestly haven’t encountered this kind of polite service from maintenance staff (usually just service / front line staff). And minutes later, after the technician left, we were preparing to go to bed when our phone rang. It was the night-duty manager extending his apologies for the inconvenience and then offered to switch us to a pool villa for our last night. We thought twice about this because a.) we were about to sleep and b.) it was raining cats and dogs. For a change of scenery, I decided why not. And so in the middle of the night we were helped by 3 men and the manager on duty himself as we transferred to a pool villa. Mornings after a night of thunderous and endless rain are always the best. It’s quiet, bright and lush. 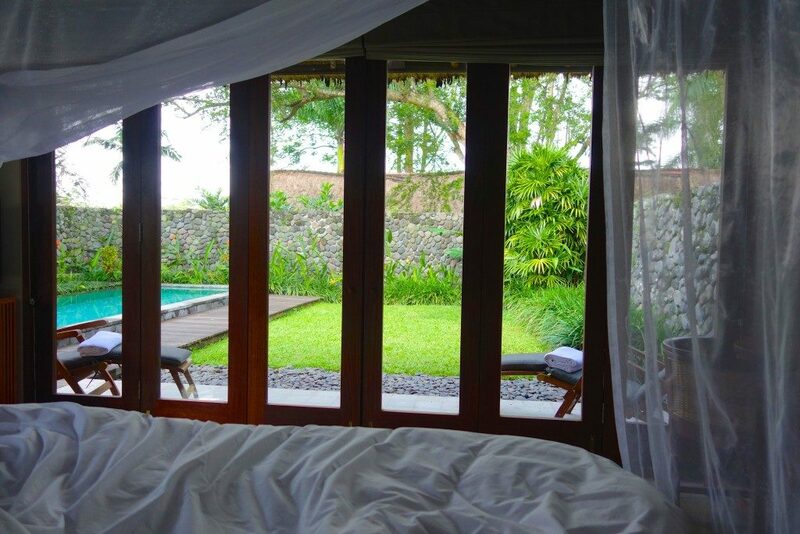 And indeed waking up at the Pool Villa felt like waking into an entirely different world. Though the 2 categories are not really that far from each other in terms of levels, the difference was really stark. Size wise, the pool villa was probably 3 times the size of the Deluxe room and had better amenities. If I didn’t know it, I would have thought I was in a different resort. 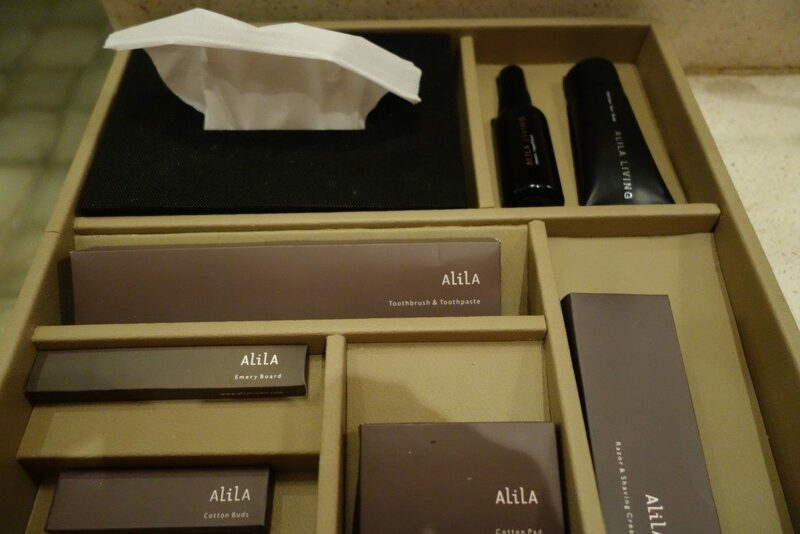 The bathroom also had 2 sets of toiletry kits (one for women, one for men) and they are from Alila Living, Alila’s own toiletry line which had amazing lotion and shampoo. We also had a couples signature treatment at Alila Spa one afternoon. The treatment was done in their outdoor treatment area, which is specifically for couples as it had its own private shower and toilet area. 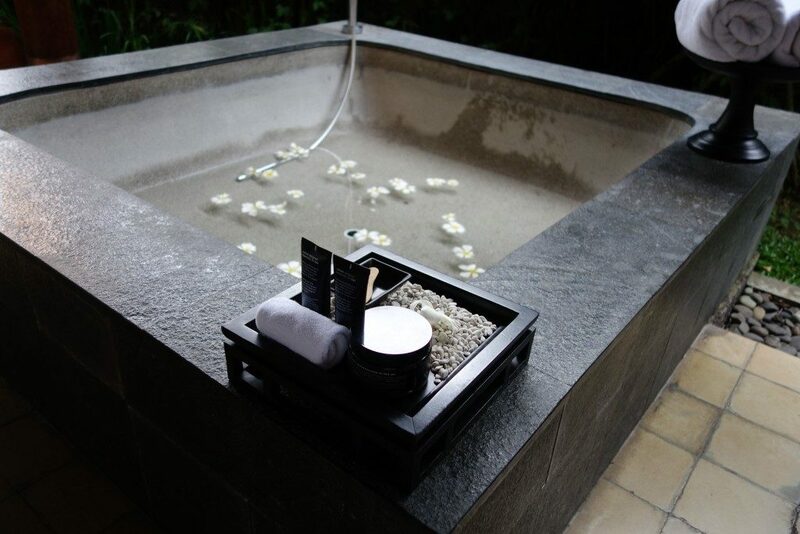 The signature Balinese massage was relaxing and gentle , involving soft stretches. The oils used were also from Alila’s own line and I had grapeseed oil which had an invigorating effect. 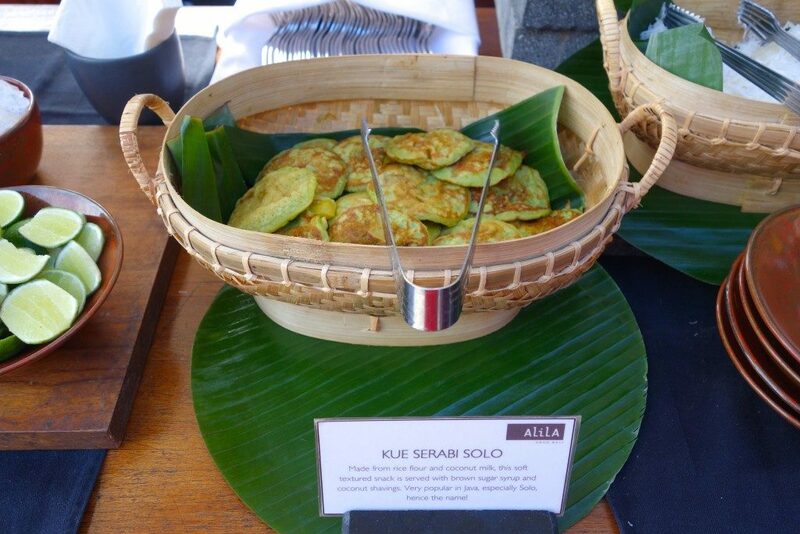 Food and service are what proved to be unforgettable during our stay at Alila Ubud. 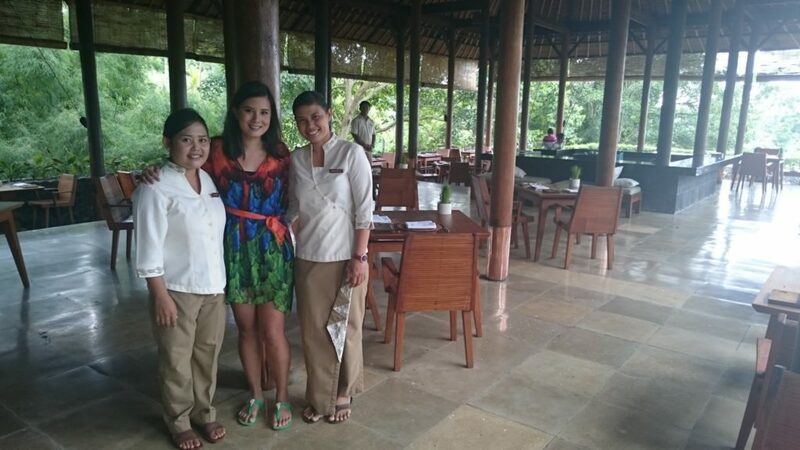 It was also interesting as we were able to speak with Alila Ubud’s General Manager , who used to be a chef. 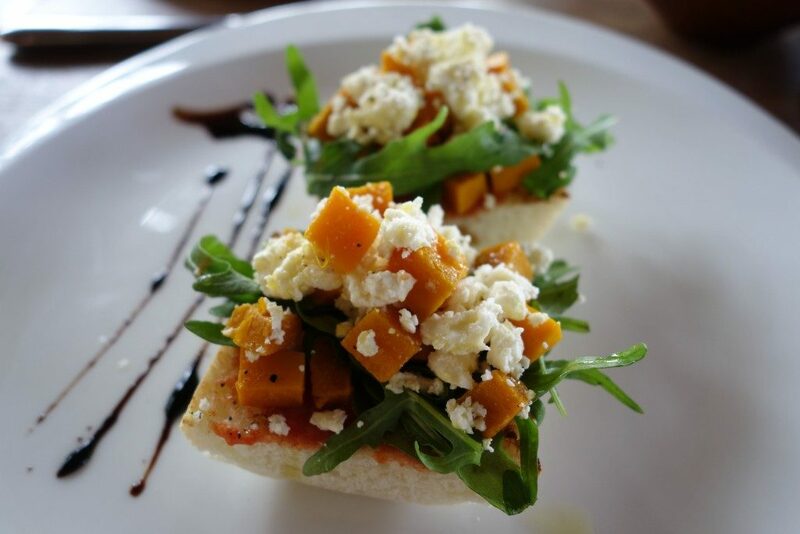 It’s little wonder that food is top notch. 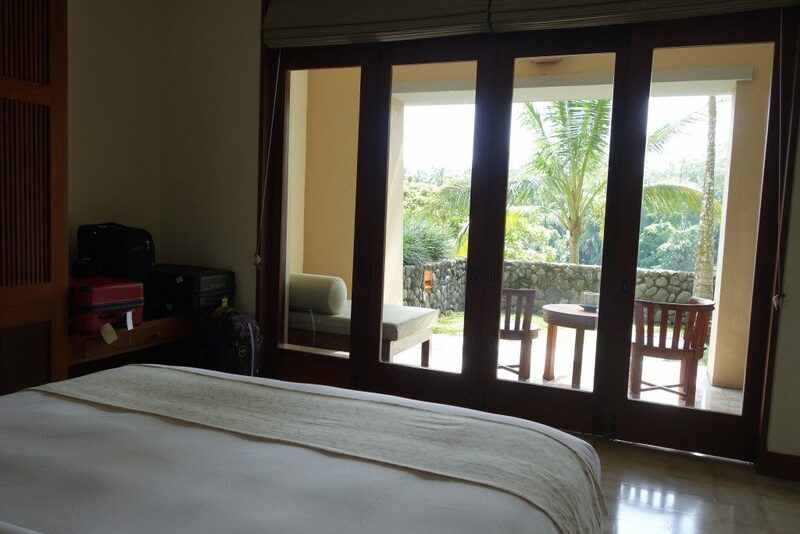 We stayed as guests of Alila Ubud Bali, but all opinions and views are my own. There is no obligation to write a favourable review. A Pool Villa rate begins at USD 413.00 a night plus taxes BOOK HERE. Thanks Anna 🙂 Yes that’s the magic of Bali, you feel like you really are in a totally different world but you’re not really too far away ! Okay whenever you get sick of zombie can I pretty please be your next travelling companion! Getting serious wanderlust reading all your hotel reviews tonight. 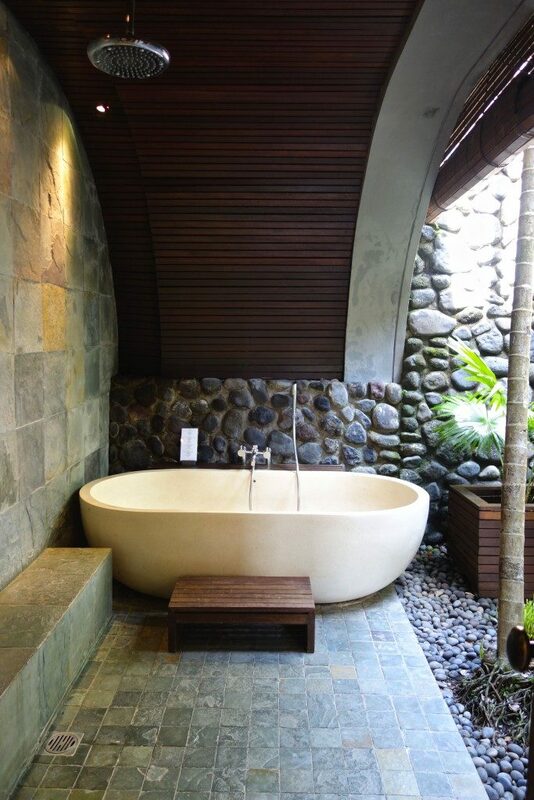 You would not get me out of that bath tub at the pool villa; seriously why did you ever leave? We loved Ubud for its cultural offerings (Balinese dance and art museums/galleries), great shopping and the monkeys in the Sacred Monkey Forest. 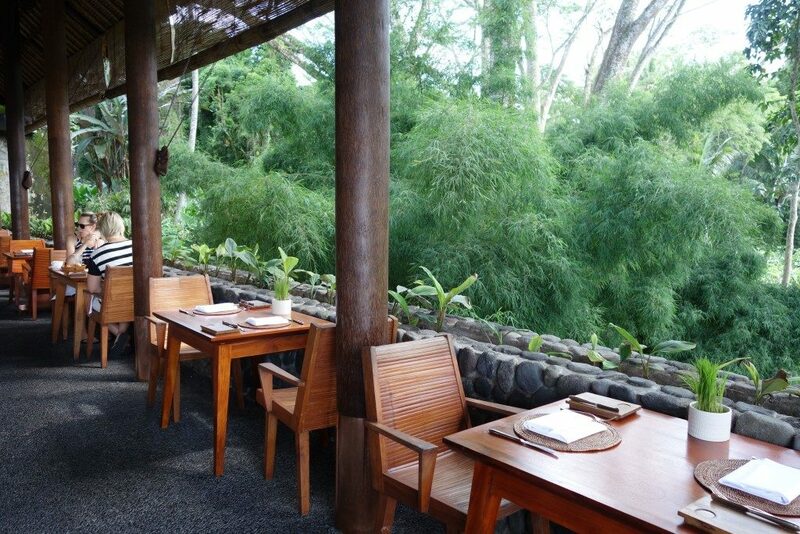 There are so many lovely hotels there – glad you enjoyed the Alila Ubud. We enjoyed staying at 2 Alila properties elsewhere in Bali – Alila Villas Soori and Alila Villas Uluwatu – so we know how special they are :-). All the Alila properties seem very lovely! Yes I really enjoyed Ubud too such a cultural hub. I liked it more than the “beach towns” of Bali. 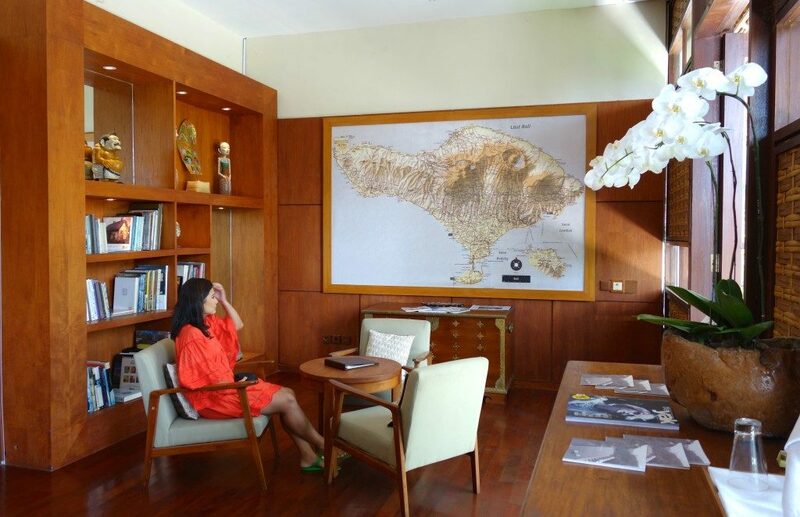 Btw I heard that the largest Alila property will open in Seminyak soon.